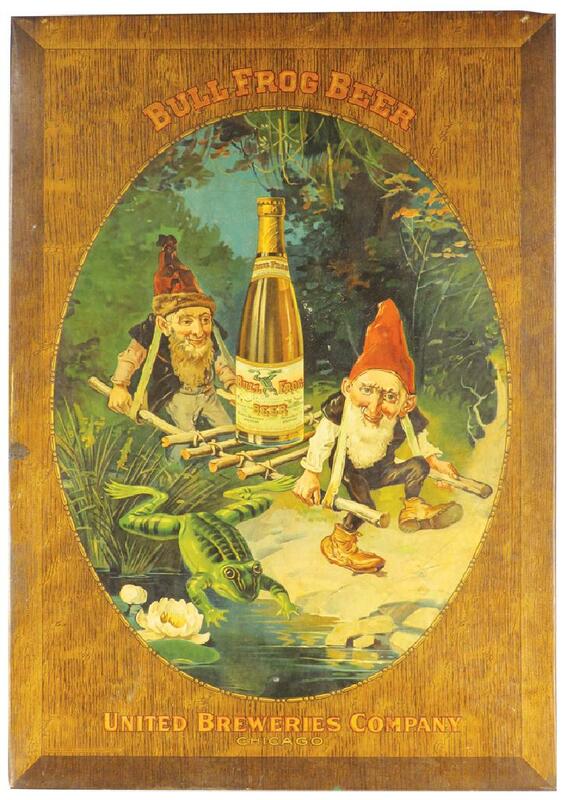 Pictured is an early wood sign from the Bull Frog beer brand which was made by the United Breweries Company in Chicago, IL. Meyercord Sign. Circa 1910.